I lay in the couch with my old laptop, that i shared with my mom as a kid. I scroll through all the documents and pictures and videos. I smile seeing some from when my dad was still with us and he had still been happy. Or at least that&apos;s how i remembered it. He was laughing, and he was proud of me. Videos of me and him running the 5-k, him teaching me how to swim...ski... That&apos;s when it hit me. 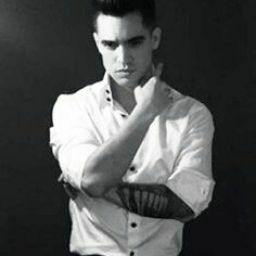 "Brendon" I call to Brendon who&apos;s in the kitchen cooking dinner. "Yeah babe?" he asks walking out to me. I look up at him with a smile. "Well i was thinking...i was looking at some of these videos from when i was a little girl and well...i dont know...i was thinking about Boyne...and well...i had always planned to continue the tradition of going every year with my kids...and to get married there....an by the time Dawn is born and we are able to get married...it will be around that time t-" Brendon had cut me off with a kiss. I kiss back and we break. He chuckles a little bit. "Of course we an go....thats our new second home...and...the best part is...that its during out tour every year and the band along with Tyler and Josh would be going to." He says smiling like he had been planning it out. I smile. "Y-yeah...that sounds perfect...." I say standing up to stretch. Brendon kisses my cheek and goes back to the kitchen and he plates dinner. I walk in and sit down at the table across from Brendon. We begin eating the spaghetti that he made. "So how are you feeling?" 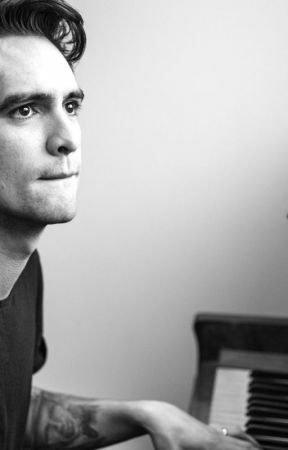 Brendon asks. I sigh. "Eh, could be better. Feeling a lot of pressure and a lot of aching." i say finishing up. "Well lets get you to bed so you can rest." He says taking our dishes out to the sink. He then walks me up stairs and helps me get into bed.